The present paper deals with the Old Norse-Icelandic written sources’ data on trade relations of Novgorod and Scandinavian countries. The sources in question, written down in the eleventh to the thirteenth centuries, narrate of the tenth and eleventh centuries, and thus the information found in them is important from the point of view of chronology: the aggregate material of runic inscriptions, skaldic poems, chronicles and sagas enables us to see Novgorod as one of the largest trade centres of Old Rus, and to study its connections with Scandinavian countries at an earlier period of time than any other written sources do. 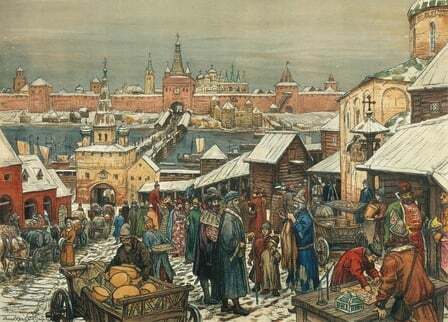 Novgorod, situated at the upper reaches of the River Volkhov flowing out of the Ilmen Lake, was in the Medieval Ages the most important centre of trade with foreign countries and within Rus. Having been founded at the crossroads of the main waterways leading to the west along the Western Dvina, north along the Volkhov and the Lovat’ and south along the Dnieper (the way ‘‘from the Varangiand to the Greeks’’), as well as to the east and south-east along the Volga (the Volga-Baltic way) (Dzhakson, 2007: 275-289), Novgorod was a focal point of contacts among Old Rus, Western and Northern Europe, Byzantium and the Muslim East. Novgorodian trade has been studied by generations of scholars, but, to my mind, the most complete account of this issue was achieved in this century only (Rybina, 2001, with references).